Allen Hainline has a physics degree from UT Austin and has taken graduate classes in Biola’s Science and Religion program. He worked in software engineering for 27 years and has served as an Engineering Fellow at Raytheon. Allen is self-employed writing algorithm software for commercial satellite imaging. He is happily married for 27 years to Rose, and they have 2 sons and 2 daughters. Allen went through a period of doubts and skepticism but after years of researching historical, scientific, archaeological and philosophical evidence concluded that there is far better evidence for Christianity than for other religions or for atheism. This led Allen to start a Reasonable Faith chapter at UT Dallas 4 years ago and is now also leading a Ratio Christi chapter at Dallas Baptist University. See www.OriginsDiscussion.info for more details. 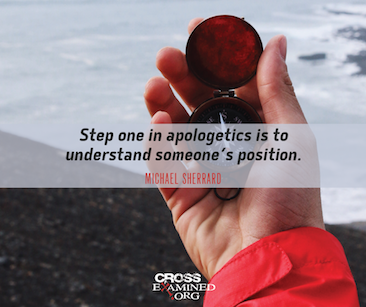 Allen also leads an apologetics ministry at his church, Lake Pointe Church in Rockwall, Texas. Is it Stupid to Believe in Miracles?